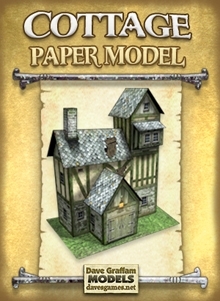 For your printing convenience, the Cottage includes a full set of single-layered PDFs. As a bonus, these flat files are created using a unique color scheme not found on the multi-layered version, giving you another all-new look to chose from. 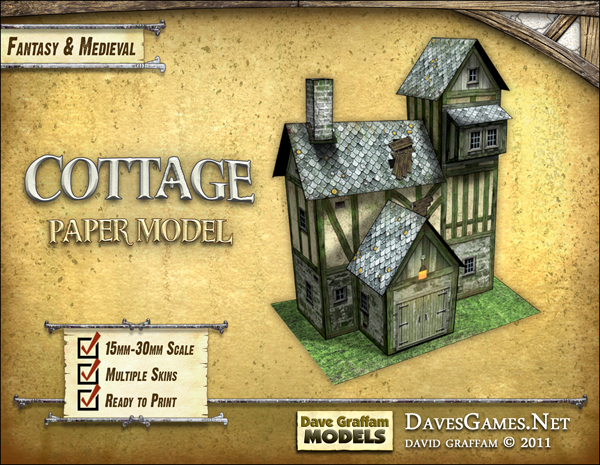 The Cottage also includes 9 small wooden crates and chests and an outhouse. The Cottage has a footprint of 6.5" x 4.4". It stands 8" tall, not including the chimney.